PS 117 is 2 verses. Ps117: Praise the LORD! For great is his love towards us. 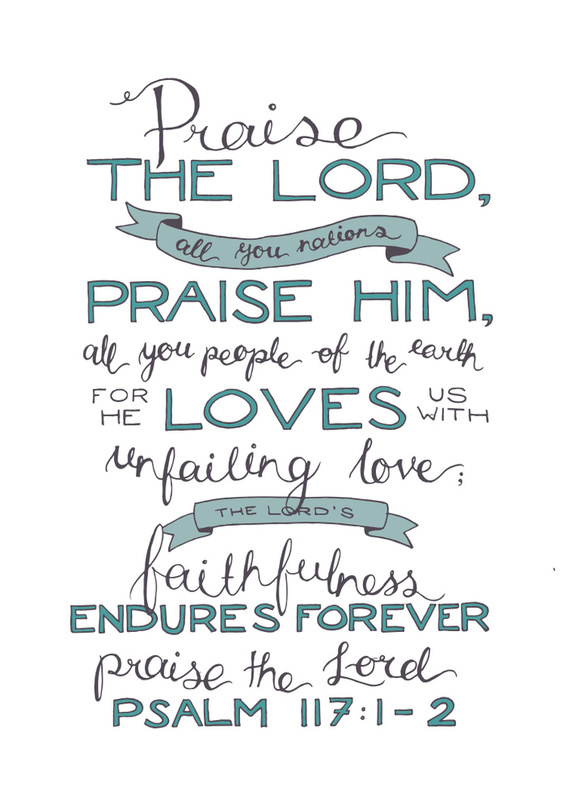 Ps118: Give thanks to the LORD; for his love endures forever! The nations surrounded me; I cut them off! The LORD has become my salvation. Ps119: Blessed are those who walk in the law of the LORD. Teach me your decrees. I love your commands. Deliver me according to your promise.